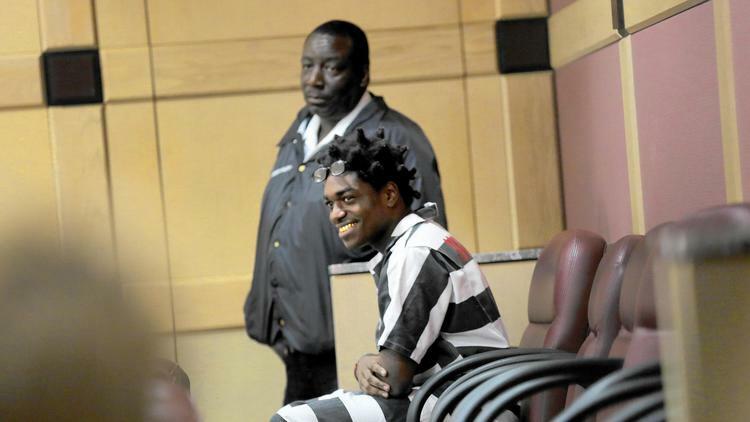 Looks like Kodak Black won't be getting out of jail as soon as we expected. We all thought Kodak Black would be getting a break and getting out of jail soon, but as a Broward County Sheriffs Office and Broward Courtroom stated there was two active arrest warrants, which one is a "no-bond hold." During todays hearing Kodak Black had numerous supporters, one being a rep from Atlantic Records. The Atlantic Records rep said that Kodak Black, whose real name is Dieuson Octave, has been actively working as a recording artist and has a bright future ahead of him as an artist, but that didn't sway the court in his favor. Kodak Black has been charged with numerous charges including possession of a firearm by a delinquent and other which total up to a 55-year sentence. As of right now Kodak Black will stay in jail until further notice.